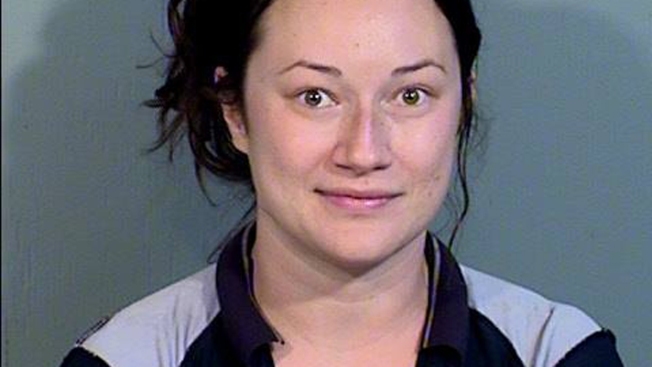 A Phoenix woman accused of stalking a man she met on a dating site and sending him more than 65,000 text messages apparently sent more than twice that many. The two went on a single date. Ades has pleaded not guilty to charges of stalking and criminal trespassing. The man, whose name has not been released, called police after he found Ades parked outside his home in July 2017. Paradise Valley officers escorted her off his property and that's when police say Ades began threatening the man. In a jailhouse interview, Ades said she met the man on Luxy, an online dating service that caters to millionaires, The Arixona Republic reported. In a police interview, she seemed to understand the man didn't want to be with her. "It's OK if that's how [he] feels," Ades said, according to The Arizona Republic. "Somebody else should love him. He has so much to love. He's so cute. I can't believe I scared him." Ades was first reported to police when they found her parked outside the home in the Phoenix suburbs, police said. Soon after the incident, she allegedly began sending threatening texts to the Paradise Valley man. She was reported at the residence in December but police didn't find her there, according to police. The victim was out of the country when she allegedly broke into his house, but he saw her through home surveillance video and called police, according to a police statement. Officers found her taking a bath and arrested her; she was charged with trespassing and released, but allegedly continued to text the victim threatening messages. Ades was found outside the victim's business in nearby Scottsdale, claiming to be his wife and removed by that city's police. When Paradise Valley police found out about the incident, officers searched for her and took her into custody without incident. Ades' trial was scheduled to begin Feb. 5.